Hey all, Brandon just dropped his third update for Stormlight Four, tentatively entitled The Rhythm of War on Reddit! He's given us a look into the potential release dates for his next few major titles, Starsight and Stormlight 4, as well as a look into how the writing itself is going and the structure of Rhythm of War. It's time for Death Rattles on Shardcast this week! Check out our previous episode for our previous analysis. There are some pretty good ones this week, in addition to us not knowing Words of Radiance chapter titles, apparently. 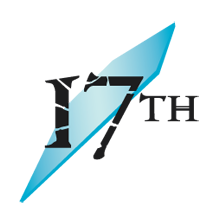 Did you like epigraph analysis episodes? Well now that Oathbringer is well behind us, let's go back and analyze all the Death Rattles! Will we get it all done in a single episode? Hah, that's adorable for you to think that. At least a nonzero of you wanted this: an episode on Children of the Nameless, a novella Brandon wrote in the Magic: The Gathering universe, released for free last December. Is it any good? Turns out it's actually pretty good even if you don't know about Magic. We are going to talk about the plot as well as the lore. 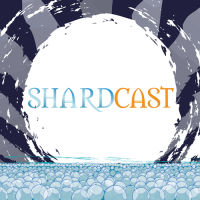 This week, it isn't Shardcast, but ShardPLATEcast, because we're talking about Shardplate. We talk about all the details on how Shardplate works, its function, differences between the Radiant version and non-Radiant version. Of course, we hypothesize how one gets Plate and how that works. But wait, there's also Inception noises and Avengers references. Everything you could want, really. Today on Shardcast, we are SPOOOOOKY because we're talking about ghosts! COSMERE ghosts! That is to say, Cognitive Shadows. What are Cognitive Shadows? Where have we seen them? How does it work? Find out this and more! A little late, but we're finally back with another set of Coppermind objectives! What better way to spend a cold winter day than snuggled up with a blanket, hot cocoa, and an article to write? We had some awesome editors chugging away over the holidays, and got a lot done. We got a good start on Skyward while continuing to chip away at some Cosmere articles that have long needed attention. We'll be continuing that through March!